Gardenlink offers you FREE SAMPLES of their plant food. 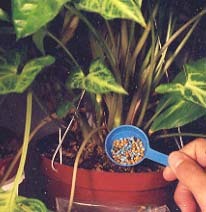 Gardenlink was established in 1996 by a small group of fertilizer industry professionals and marketing executives to offer plant food products that were unique to specific plants. Most Growers and Gardening Professionals prefer specialized plant food products that produce superior plants. Years of experience and testing go into the AgSafe® plant food product line. AgSafe® plant food products are highly concentrated and are offered at a low cost through the internet marketplace. Whether you’re a novice gardener or a professional, you’ll find the AgSafe® plant food products are easy-to-use and will produce superior plants. Free Samples ONLY Available for U.S. Addresses. Please allow 1-2 weeks for USPS delivery.